How setup a support group? This manual has been compiled in order to offer assistance in establishing support groups. People living with HIV who have experienced the power and usefulness of support groups are often proud and positive to be part of such a group. We hope this manual can help you learn why a support group is useful and how to go about getting involved with one, or how to go about setting one up. This document serves to inform the reader of the existence and purpose of the Tonata support group database and map. Further details and information are available and points of contact are at the bottom. The project is relatively new and Tonata is very keen to get feedback and support to explore how this innovative and engaging tool could be further developed. The potential for improving links between service providers and those accessing those services is significant and the involvement of partners in capitalising on that opportunity is key. This factsheet is intended to give an overview of the representative framework that Tonata operates to promote the voice of PLHIV at a regional level. Around 2008, HIV support groups in the country were breaking down almost at the same rate as they were being formed. The coordination among them was very weak and the local ownership practically non-existent. To read more about the journey of Tonata, please download this manual. Tonata is a grass roots network or umbrella organisation of support groups. The organisation has a vision to improve the lives of People living with HIV (PLHIV) via improved sharing of information amongst PLHIV and increasing the voice of PLHIV in Namibia. A key challenge for the organisation is to share and receive information with the 14000 members it serves. 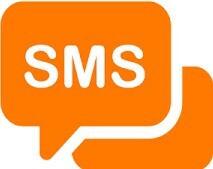 One of the responses to that challenge is via SMS (Short Messaging Service). Tonata is able to send group messages and receive responses from members in even the very hard to reach areas of Namibia. The system employed by Tonata is simple, in-expensive and has come about as a result of trial and error. This document seeks to demonstrate how an SMS system can be implemented with relatively little resources and technical capacity. Tonata distributes newsletters on a quartely basis to suppport groups' members. As the culture of Tonata – of sharing information, documenting information, and making advocacy through written communication, this page gives you full access to our all publications. This includes our quarterly newsletter, forms (membership and reporting forms) and Support groups guiding manual.